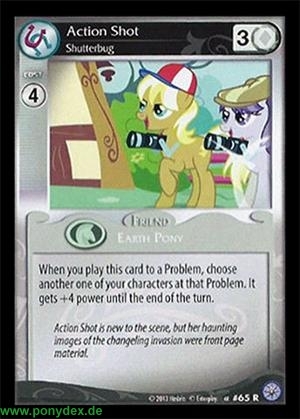 When you play this card to a Problem, choose another one of your characters at that Problem. It gets +4 power until the end of the turn. Action Shot is new to the scene, but her haunting images of the changeling invasion were front page material.